Alumni play a very important role at St. Francis Xavier School. Our alumni return for social events, helping with retreats, speaking engagements, as well as serving as teachers and coaches. All alumni receive our alumni magazine, which includes alumni news, features and profiles. News items and photos are always welcome! Please email Mary DeFrancesco Musgrove '81 at mary.musgrove@sfxphx.org. 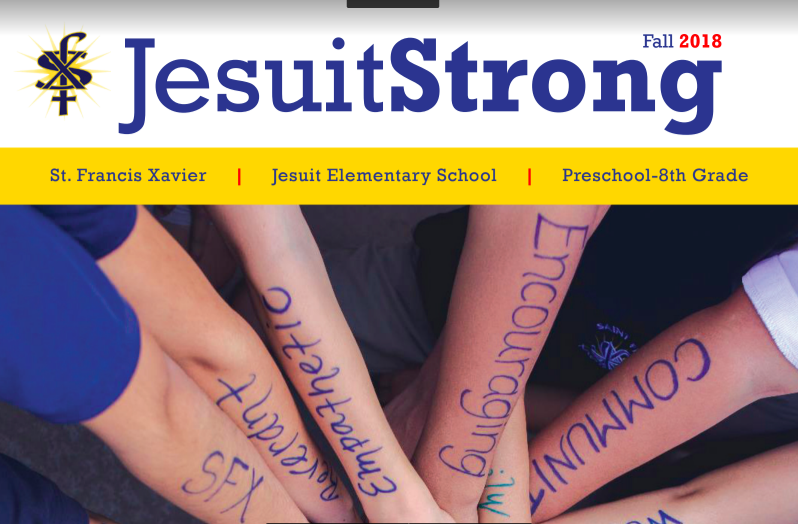 ​Alumni can help us by using on many fundraising partners that give back to St. Francis Xavier every time a purchase is made. Click here to see our amazing retail partners. All gifts no matter the size make an impact on the future of St. Francis Xavier School. Please click the above picture to read all of the latest news from SFX.